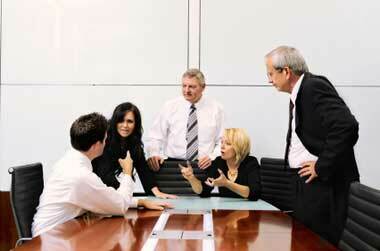 Assess and resolve workplace conflict and recommend needed changes on critical workplace issues. All effective organizations encounter conflict. It is a natural and inevitable part of all interpersonal relationships. Conflict brings both challenge and opportunity. The challenge may involve the stress of organizational change, the implementation of new technology, unexpected growth or decline, or a change of leadership. The challenge may also involve policy disputes, personality conflicts, or outdated operational procedures that demand redesign. In some cases, long standing organizational problems or new changes in corporate culture can also trigger conflict. While we all like to think we handle conflict well, the reality is, old, unfinished business tends to pile up. It undermines our emotional stability, interferes with our present relationships and inevitably impedes our future success. For these reasons, RMS Consulting offers five conflict resolution strategies to help resolve your workplace conflicts. Using standard interview techniques we assess current organizational conflicts and recommend necessary interventions. As a neutral facilitator between disputing parties our mediators help the parties move from their stated positions to mutually acceptable solutions. Workplace problems are investigated by collecting direct employee feedback that leads to recommendations for change. Critical workplace issues are openly discussed and fully examined to understand participant’s perspectives, thoughts, and feelings toward successful problem resolution. Individual conflict styles are assessed and understood and participants are taught collaborative conflict resolution strategies.